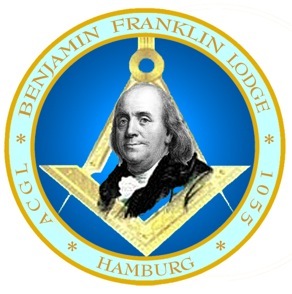 The Worshipful Master is pleased to Summon all members of Benjamin Franklin Lodge #1055 and Invite all Brethren from duly Recognized and Constituted Lodges under the United Grand Lodges of Germany (VGLvD) or regular and accredited Lodges under the jurisdiction of other Grand Lodges, to attend a Stated Communication on the Fellow Craft Degree of Masonry scheduled to be convened at the Lodge House, located at Welckerstrasse 8, 20354 Hamburg, on December 4, 2018, at 18:00 hrs. To conduct any business which may be presented in due form to the Lodge. Further, all Brethren are invited to attend an informal meal following the Communication, for which reservations through the Bro. Junior Warden, Bro. Secretary, or the Contact Form on this site are requested in good time.